Take it from these sellers. There's no better time than now when it comes to starting your own business, primarily because of all the new digital tools that make operations easier. Starting a business is no easy feat, of course, but thankfully there are modern technologies that can aid you along the way. 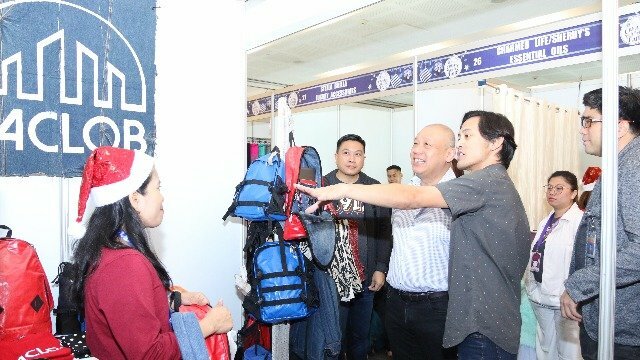 Digital solutions in practical business application is what Globe myBusiness stands for, and this was celebrated at the recently concluded Globe myBusiness Create Yuletide Fair: a Christmas bazaar held at the Globe Tower on November 20 to 22. The event also featured sellers from Globe itself, since the company encourages its employees to get into entrepreneurship. 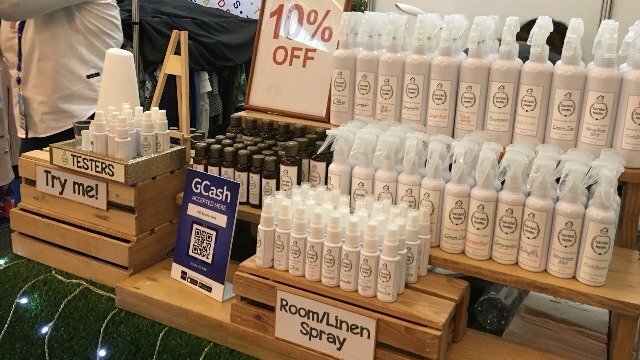 Created to showcase, local entrepreneurs, the event also featured sellers from Globe. 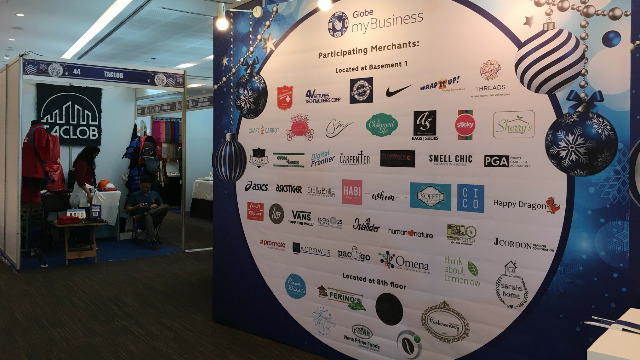 Partner merchants were equipped with Globe myBusiness solutions, ensuring smooth transactions. The event highlighted the importance and benefits of myWebsite, AdBlast, and Auto SMS Blast to local entrepreneurs. AdBlast, for example, helps business owners in driving consumers to their promos and events. The testimonials from a few of the bazaar’s participant merchants all point toward the positive when it comes to using these digital tools. A legacy Marikina shoemaker owned by Neil and Anne Nepomuceno, the business was first established in San Roque Marikina by Neil’s parents back in 2011. While they have physical stores in Greenhills Shopping Center, Marikina Shoe Gallery, and Marikina Shoe Trade Fair, they continue to join bazaars frequently. Taclob founder Jourdan Sebastian with Globe Telecom CEO Ernest Cu. Taclob is best known for the recycled bags they produce, a by-product of enabling survivors of Typhoon Haiyan which devastated the region in November 2013. Taclob provides training and support to a diverse set, including senior citizens, a transgender business leader, a domestic violence victim, and the deaf community. Starting out as a maker of handmade soap, Sarah’s Home has since included body washes and scents into its inventory, with a total of 11 variants including local scents like Ylang Ylang and Sampaguita. Sarah's Home products displayed at the Create Yuletide Fair: A Christmas Bazaar. Formerly known as Half the Price, HTP is an online clothing store owned and run by Ricca Del Rosario. From its humble beginnings as a seller of second-hand clothing, HTP has since grown into a large business with 40 seamstresses who create original pieces. HTP is known among the trendy and fashionable for its unique designs and affordability. HTP still sells online, and to be able to keep up with the fast consumer demand, Ricca decided to integrate some Globe myBusiness solutions into her operation. "With Globe myBusiness Broadband, we get a business-grade Internet connetion. 'Yung transactions sa HTP sobrang bilis, kaya kailangan namin ng connection na kaya sumabay," she says. Learn more about how Globe myBusiness can help you grow your business. For a list of upcoming Christmas bazaars powered by Globe myBusiness, click here.